Horse culture and sports will be the main theme of this year's carnival. 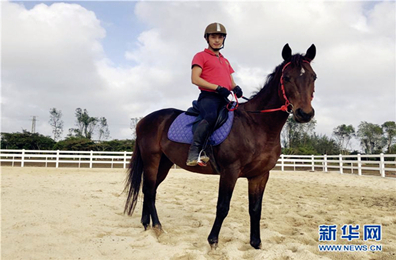 Various activities will be held, such as indoor and outdoor horse performances, presentations of star horses, horse-riding activities, and windmill tours in flower fields. Restaurants, cafes, cigar bars and a children's amusement park will be open to the public. Visitors will be able to enjoy luxurious accommodations, relaxing entertainment, and smooth traffic. The town has received an initial investment of about one billion yuan ($148.88 million). It boasts dozens of interesting clubs, events, and places, including a horse club, horse sports for autism rehabilitation, and a sports center for astronauts. The Luodou Farmland in Wenchang used to be deserted as a result of years of seawater infusion and soil salinization. To solve the issue, the local government has been working with enterprises to help bring investments to local farms. Large-scale projects, including developing cultural sports tourism and agricultural tourism, have been initiated to spur economic development. By taking advantage of its strengths, Wenchang has been able to develop a modern agriculture industry with pastoral complexes that integrate recycling, creativity, farming activities, garden complexes and shared farms. The town is striving to build itself into a pastoral community. More job opportunities are expected to help locals escape poverty.